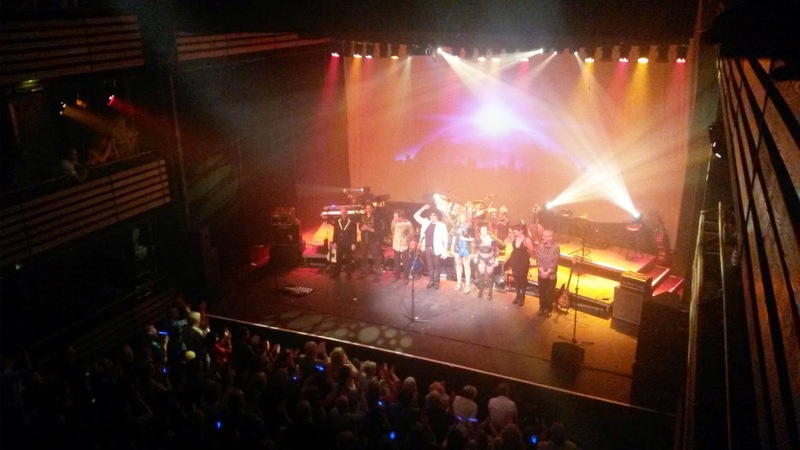 The ELO Experience ... in "Midnight Blue" of course! Hello ... Hello ... my old friends ... It's great to see you once again! 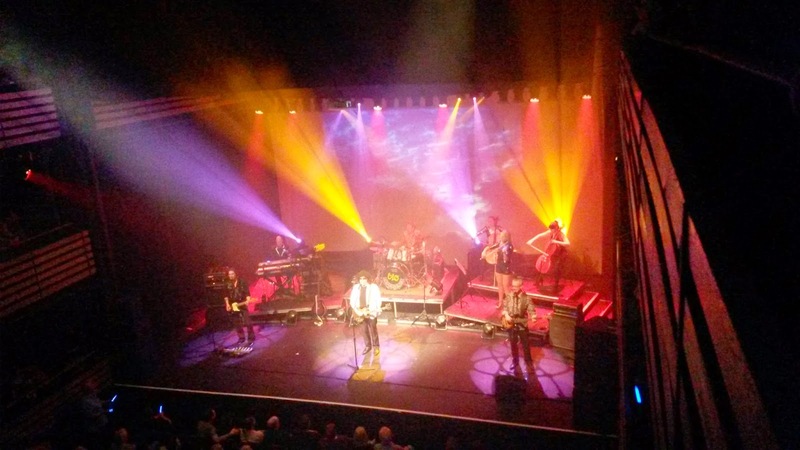 Nearly six months after last seeing The ELO Experience at Cannock, the thirty mile trip to see them again at the compact and impressive Artrix Theatre in Bromsgrove last night [Friday 10th April] was well worth the effort. 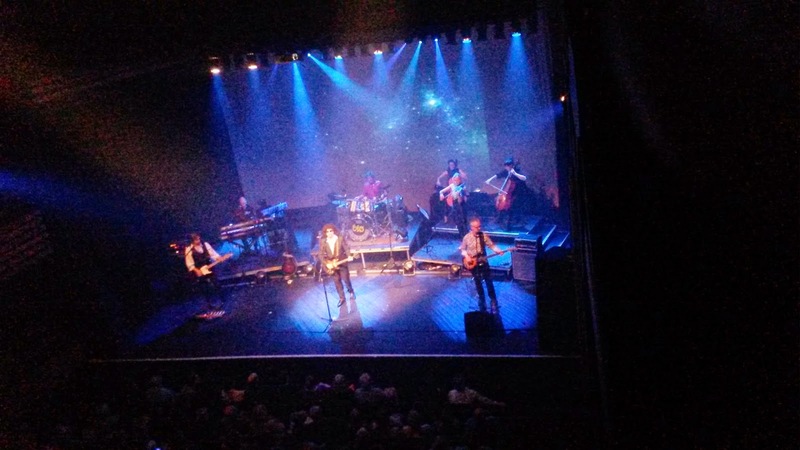 Every seat in the house was filled as the Hull based septet reproduced the studio sound and, of course, the immense musical legacy of ELO & Jeff Lynne [not forgetting Chuck Berry] to an appreciative and responsive audience. The ELO Experience: "Can't Get It Out Of My Head"
Admittedly, my primary goal for the night was to witness "Out Of The Blue" album [and, of course, the second ELO EP] track "Across The Border" performed live for the first time but there were a couple more surprises in store for me in another slick performance by the band as they also delivered superb versions of "Midnight Blue" and "Tightrope" within their fantastic new set [at the expense, I think, of "Standin' In The Rain", "Big Wheels" and "Calling America"]. 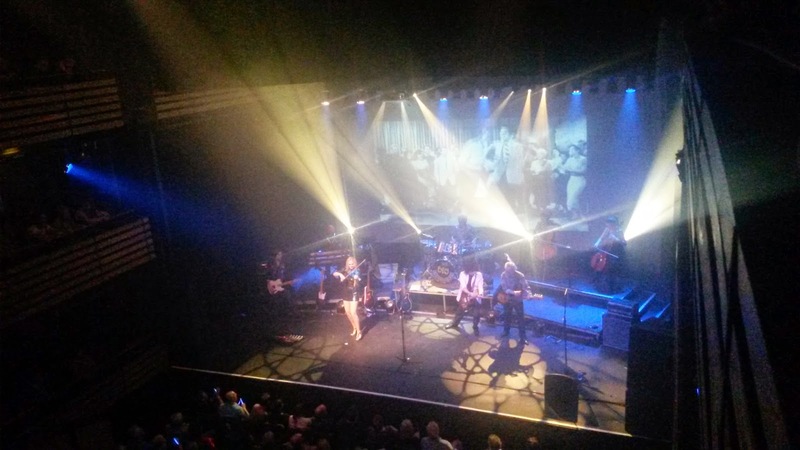 This was my thirteenth ELO Experience gig [some have seen more and many a few less] but it was, ironically, lucky for me to be able to enjoy the craft of this great tribute act. If they're near you, go see 'em folks! Set list: "All Over The World", "Evil Woman", Telephone Line", "The Diary Of Horace Wimp", "Midnight Blue", "Xanadu", Can't Get It Out Of My Head", "Showdown", "Wild West Hero", "Across The Border", "Confusion", "Livin' Thing", "Prologue", "Twilight", "Sweet Talkin' Woman", "Tightrope", "Shine A Little Love", "10538 Overture", "Turn To Stone", "Last Train To London", "Rock 'n' Roll Is King", "Rockaria! ", "Hold On Tight", "Roll Over Beethoven", ""Don't Bring Me Down", "Mr. Blue Sky"
ELO Beatles Forever [ELOBF] recommends The ELO Experience to those enlightened folks who enjoy the music of ELO, Jeff Lynne, The Move, Roy Wood, The Idle Race, The Beatles, 'Brum Beat' and all related artistes.